Welcome to Mammoth Lakes California, a beautiful place to visit but an even better place to live! Mammoth is a place for all seasons. Although we are best known for our world-famous ski resort, Mammoth Mountain Ski Area, many people are still unaware of this little gem located high up in the Sierra Nevada mountain range. The Town of Mammoth Lakes is a small but lively region of only four square miles, filled with a special brand of people who have chosen to leave behind their urban lifestyles and experience the unique attributes of life in the Eastern Sierra. The Town of Mammoth Lakes occupies a special place both within the history and geography of California's Eastern Sierra. The citizens are primarily strong-spirited, independent men and women that have decided to experience nature at its finest. The residents and visitors of Mammoth Lakes enjoy some of the finest outdoor recreational opportunities in the world. In the winter, skiing, snowboarding, snowmobiling, showshoeing and cross-country skiing are the dominant winter sports. Summers here are just as enjoyable with endless outdoor recreation and activities, including camping, fishing, world-class rock climbing, golf, mountain biking, hiking, motorcross, horseback riding, backpacking, sight-seeing, canoeing, water skiing & wakeboarding, tennis and amazing wildlife viewing. Of course... we all believe we live in the best place in the world! 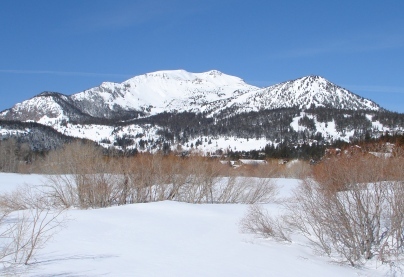 Officially incorporated in 1984, Mammoth Lakes is a relatively young town of about 8000 full time residents. During peak season, the population can increase to 40,000 or more on busy holiday weekends. 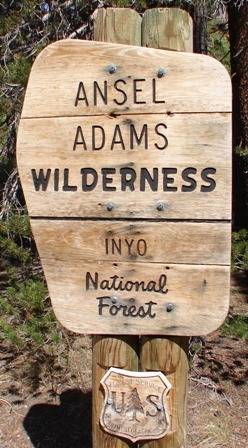 The town is located in the Inyo National Forest and is surrounded by thousands of acres of pristine alpine forest and is also bordered by the spectacular Ansel Adams and John Muir Wilderness Areas. Yosemite National Park's eastern entrance is located just 32 miles north of Mammoth and it's only a short 100-mile drive to the world-famous Yosemite Valley. Mammoth Lakes is situated in the southern half of Mono County, which is a stunningly diverse region of eastern California marked by the startling contrast between its eastern and western boundaries. Bounded on the west by the Sierra Nevada high-country, this region is characterized by its dramatic 13,000'+ mountain peaks, sparkling alpine lakes and beautiful streams, meadows and forests. Unlike the gentle, rolling escarpment of the Western Sierra, the Eastern slope of the Sierra plunges dramatically to the valley floors. This is probably the most obvious characteristic of the Eastern Sierra to the first-time visitor. The Town of Mammoth Lakes is situated in the southwestern, mountainous region of the county, and many of its trails, campgrounds and roads either abut or cross the crest of the Sierra. The history of the town officially dates back to the 1800's when miners and ranchers inhabited settlements near the current town site. Mammoth got its name from the mining era, Mammoth Mining Co. In the summer months, temperatures average a comfortable 75-85 degrees for a high and seldom dip below 40 for a low. Winter temperatures range from 10-40 degrees, while the area boasts an annual average of 300 days of sunny skies. In spite of its marked change of seasons and prodigious snowfall, Mammoth's semi-arid mountain climate is unusually mild for an alpine region. 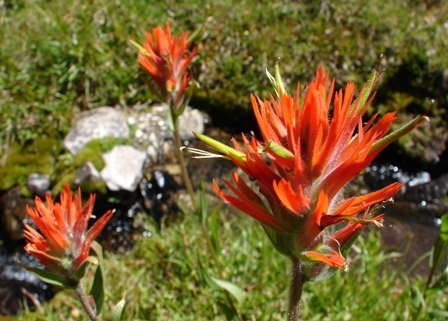 The fall season in the Mammoth Sierra is typified by a change of color in the deciduous flora, with the season's first snowfall usually occurring by late September. Often, a lovely Indian Summer will follow, which may extend into the month of November. Mammoth's geographic location, nearly equidistant from most all of the major population centers of the south (San Diego about 400 miles, Los Angeles, 300 miles), the north (Reno about 150 miles), and the west (San Francisco, 300 miles) makes it a natural nucleus for winter and summer activities.